Just send your link to anyone you know. (who doesn’t need better rest?) They will get $125 off their purchase + 2 free memory foam-filled Nectar pillows. After they receive their mattress, both you AND the friend get a $25 Amazon gift card. Start sending the gift of sleep today! You can refer as many friends as you would like. For each friend that purchases a Nectar mattress, you and the friend will both get one $25 Amazon gift card. Just send your unique link to all of your friends! Not only will they will get $125 off their mattress along with two free memory foam-filled Nectar pillows, but they will be able to experience sleep on the most comfortable mattress. No, your friend has to make their purchase on www.nectarsleep.com after clicking your Refer a Friend program link. 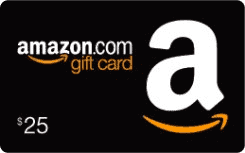 We encourage you to tell as many friends as possible, but we can only send you an $25 Amazon Gift Card if they use the link.